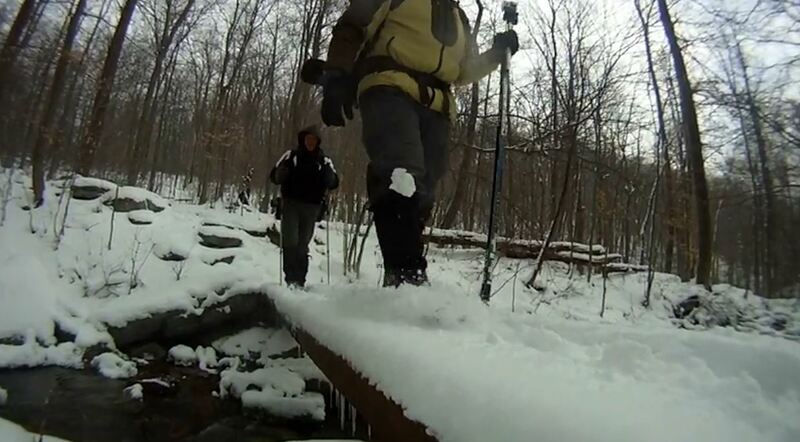 The Laurel Highlands Hiking Trail (LHHT) is a 70 mile backpacking/hiking footpath located in Western PA. It stretches from the swift whitewaters of the Youghiogheny River in Ohiopyle, PA, to the beautiful Conemaugh Gorge near Seward, PA. The trail traverses State Game Lands, State Forests, State Parks, and some private property at Seven Springs Mountain Resort. The trail is closed to bicycles, horses, and all motorized vehicles. However, the trail crosses many cross-country ski trails, snowmobile trails, mountain bike trails, and other small side trails – so you may run past other kinds of traffic. In 2008, the state gave the nod to dogs, allowing them to stay overnight. The LHHT is marked by yellow blazes. Due to the amount of traffic that it draws and the care provided by the Laurel Hill State Park Complex, the trail is generally easy to see as you move along. Small concrete pillars mark each mile, making it easy to find your place on one of the free maps. Because of its well-marked pathway, the LHHT has become a great place for beginners. It is not uncommon to run into Boy Scout Troops or others who are trying to perfect their woodcraft. Chipmunks, squirrels, birds, whitetail deer, and salamanders are commonly seen. The black bear population is high for the region, but they are rarely spotted. Timberback Rattlesnakes also thrive along the ridge. They are generally timid and will retreat whenever possible. Care should be taken when climbing the rocky outcroppings at any of the scenic views as these snakes are sometimes well-hidden. The trail is open year-round. Snowshoeing and winter camping are increasingly popular. Because the trail includes relatively level sections (miles 19-26) and demanding hill climbs (miles 0-11), snowshoers can choose areas that are better suited to their skill level. By accessing the trail at any of its seven trailhead parking lots, both newbies and experienced hikers can venture out and back for leisurely day hikes. Or, the trail can be thru-hiked. Generally, this is done in either 5 days/4 nights; or 6 days/ 5 nights. Thru-hikers should be aware that the south end of the trail includes significant elevation changes, resulting in challenging climbs and descents. The most notable of these is “heart attack hill” between mileposts 6 & 9. If traveling northward, hikers will climb approximately 1,300 feet of sharp-cut hillside to reach the top. There are 8 shelter areas located along the LHHT. Camping is permitted only in the shelter areas. Reservations are necessary (1-888-PA-PARKS). 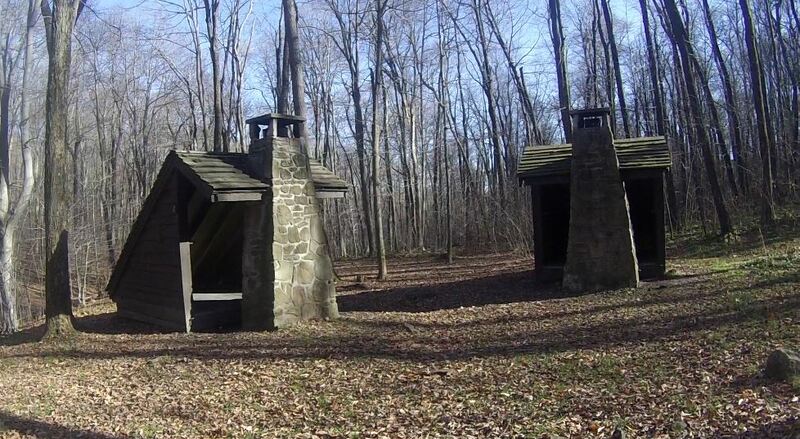 Each shelter area has 5 Adirondack-styled shelters, all equipped with a stone fireplace. Tent and hammock camping are also permitted at the shelter areas. 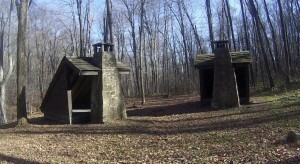 Though sometimes the wood can be scarce, Laurel Hill State Park provides cut and split firewood at each shelter area. In wintertime, tarps can be wrapped around the openings to make a cozy (somewhat) enclosure. The beauty of a chilly winter morning can be breathtaking from the shelter’s opening. 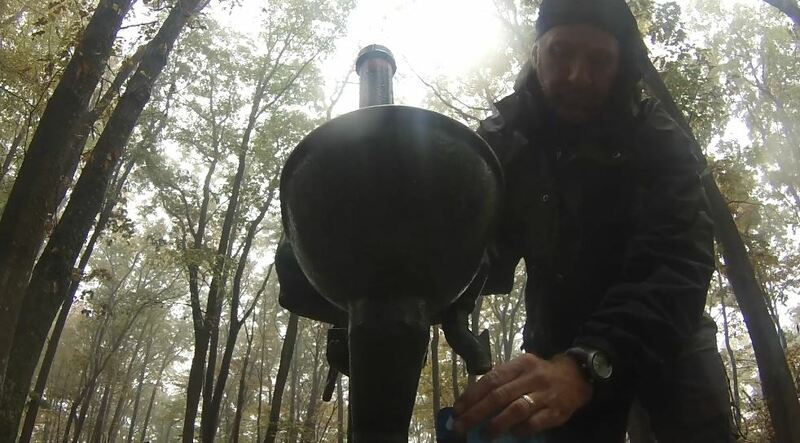 Each shelter area includes men and women’s privies (toilet paper included) as well as a hand pump for water. The water is posted as “non-potable.” It should be filtered, treated, or boiled before consumption. I began hiking about on this trail nearly 20 years ago. I cut my backpacking teeth on it and discovered my love for walking-under-load while following its lead. Although I have hiked many other trails, I am repeatedly drawn back to this woodsy corridor because of its beauty and challenge. If you haven’t hiked the ridge of Laurel Hill, you may want to plan a trip and discover for yourself why it has become increasingly popular. Dane Cramer is a backpacker, Christian blogger, jail chaplain, and author of two books: Romancing the Trail and The Nephilim: A Monster Among Us. Great info, thanks! Men & women’s privies…wow! Check back as we’ll be posting more trail reviews.